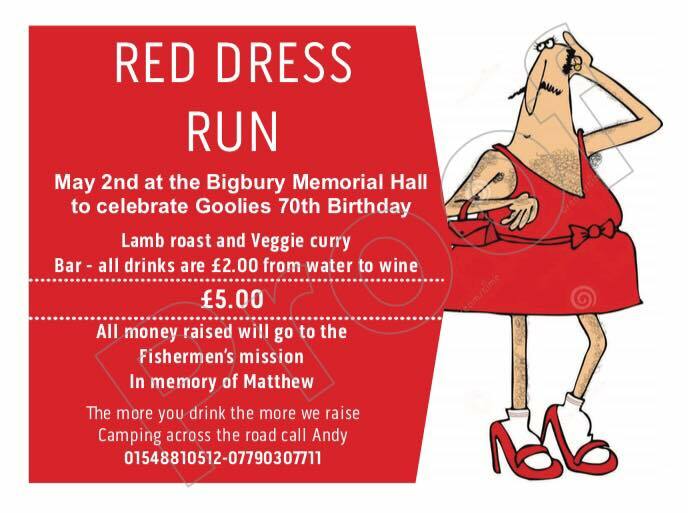 In celebration of esteemed SH4 Hash Grandee Goolie’s 70th Birthday, this Hash will be a Red Dress Hash. Ideally everyone should wear a Red Dress, if you can’t stretch to this (or your Red Dress can’t stretch to you!) anything Red will be great. All Hashers are welcome and there’s Food available for just! £5 (paid in advance to Goolie) will get you either a Lamb Roast or a Veggy Curry. The Bar will be £2 a drink whjatever you have, but expect a decent beer. 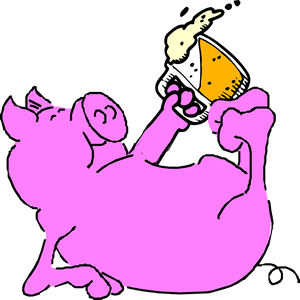 The more you drink the more money is raised! All money raised will be donated to the Fisherman’s Mission in Memory of Matthew.